My name is Margrét Bára Magnúsdóttir. 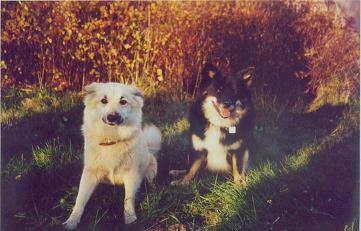 I have been breeding the Icelandic dog since 1999. 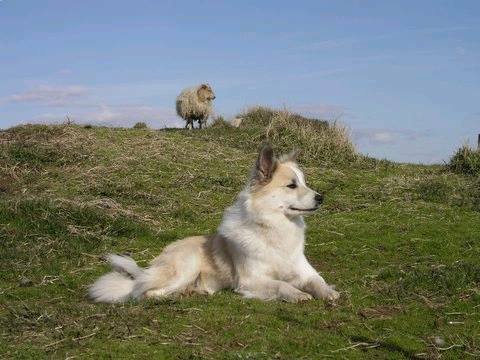 My kennel is registered with Icelandic sheepdog breed club. I live on a horse farm on the south coast of Iceland near Selfoss. Living in the country gives my dogs and puppies lots of room to run and play. Lately I have been very active going out with my dogs teaching them to track and find people and toys in large fields. Stjörnuljósa Snarpur is a excellent tracking dog. In my breeding I make sure that my puppies come from parents that have been eye tested and X-ray for good hips. I want my puppies to go to loving homes, where they will work and play and be life long companions and loyal family members. I am also an member of the Icelandic kennel club, HÍRF. Leirubakka Fjóla she was my first Icelandic dog i love her so mutch she past away so years ago, she was also my fist breeding female, and all of my dogs have her name in the back ground of the pedigree.